Following the 1949 Armistice Agreement with Jordan, Israelis and visitors were denied access to the Western Wall and other Jewish holy sites in the West Bank. 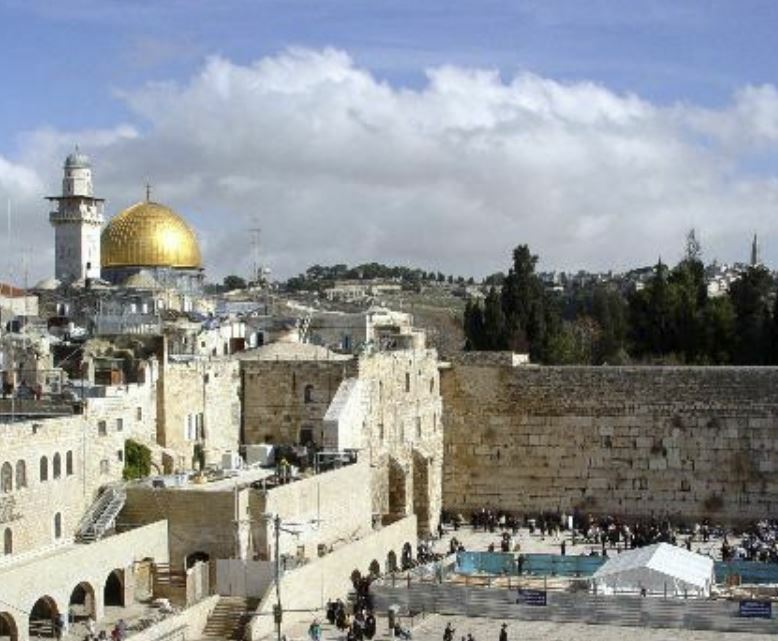 Jerusalem was reunited after the Six Day War in June 1967 and access to Western Wall, Al Aqsa Mosque, and Church of Holy Sepulcher was secured for members of each religion. Israel’s annexation of East Jerusalem is not recognized by many nations. In 1980 the Knesset declared Jerusalem as Israel’s “eternal and indivisible capital,” and the UN Security Council declared the Knesset law null and void. Today, Jerusalem is the capital of Israel; Israel’s Knesset, Supreme Court, and the residences of the President and Prime Minister are located in Jerusalem. President Truman recognized Israel moments after Israel declared Independence in May 1948, but the US never officially recognized Jerusalem as the capital of Israel or being part of Israel. The US embassy is in Tel Aviv, and US diplomats travel to Jerusalem to conduct business. The Jerusalem Embassy Act, passed by Congress in 1995, declared that Jerusalem should be recognized as the capital of the State of Israel and the US embassy should be moved to Jerusalem. Presidents Clinton, Bush, Obama, and Trump exercised waivers of the recognition and embassy move granted by the Act. On December 6, 2017, President Trump announced his decision to officially recognize Jerusalem as the capital of Israel and began the process of relocating the US embassy. The decision has brought predictable praise and support from Israel and condemnation from the Palestinians, Islamic nations and some US allies. There has been both predictable support and criticism from Jewish organizations and the US press. Demonstrations, violent protests and some increase in terrorism in Israel, the Middle East and elsewhere ensued. Currently it is too soon to know how the expected benefits, stated concerns, or feared consequences of the decision will shape the future. As a member of the American Reform Jewish community, let us follow events closely, keep an open mind, and consider how we may best support Israel and the Jewish people everywhere! Next Friday January 12th- Tot Shabbat!